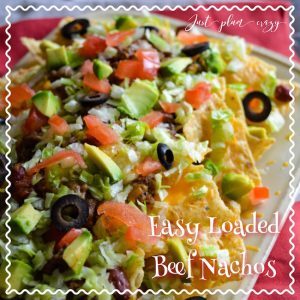 Easy Loaded Beef Nachos Recipe! Are you ready for some football? How about an Easy Loaded Beef Nachos recipe that’s perfect for the football get together? 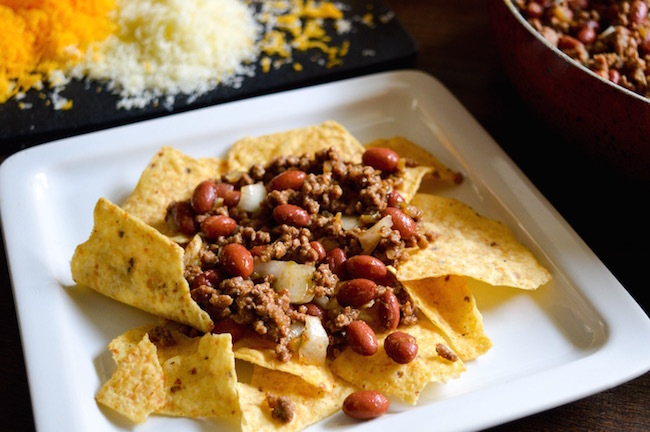 Well, we have an easy recipe for you to share with your football buddies. 1 pound of ground beef, cooked and drained. 1 can of small red beans, rinsed and drained. 2 teaspoons of sofrito (optional). ¾ teaspoon of garlic powder. 2 oz Monterey jack cheese, shredded. 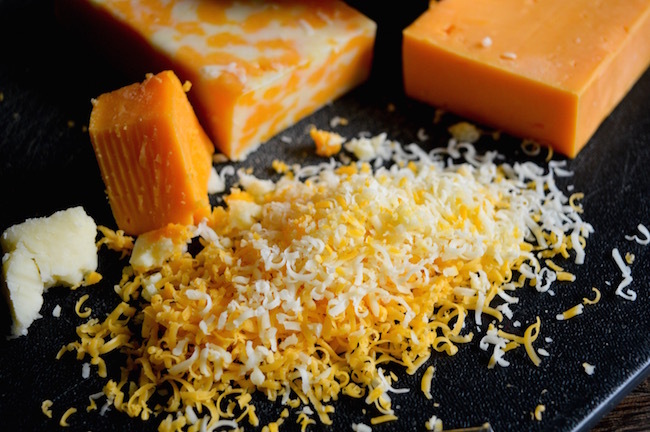 2 oz yellow sharp cheddar cheese, shredded. One large bag of tortilla chips. 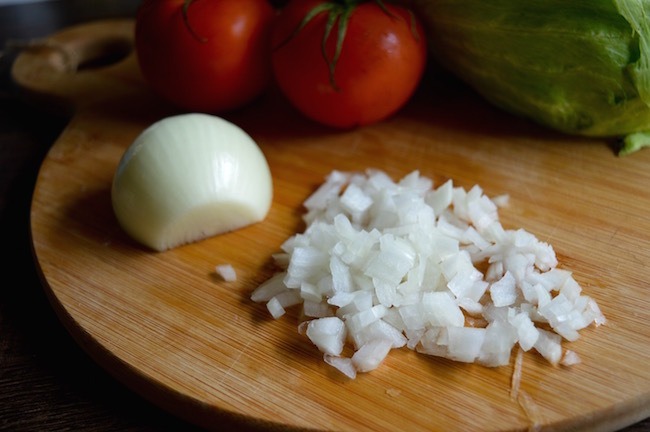 In a large pan, once beef has been cooked and drained, add seasonings, sofrito, beans and onions. Mix and heat over low for 2-3 more minutes. 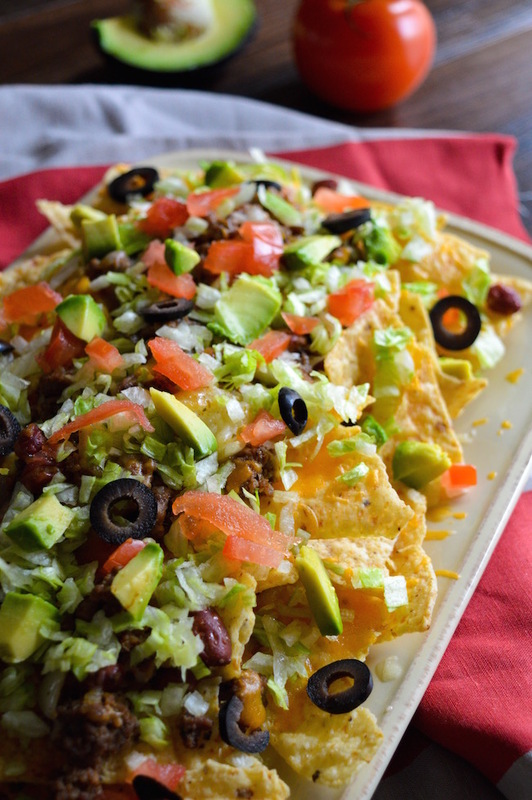 To make nachos, place a layer of nachos on the bottom of an oven safe large platter or plate, add meat mixture, layer with cheese and continue process one more time. Place tray in oven for three minutes or until cheese melts. 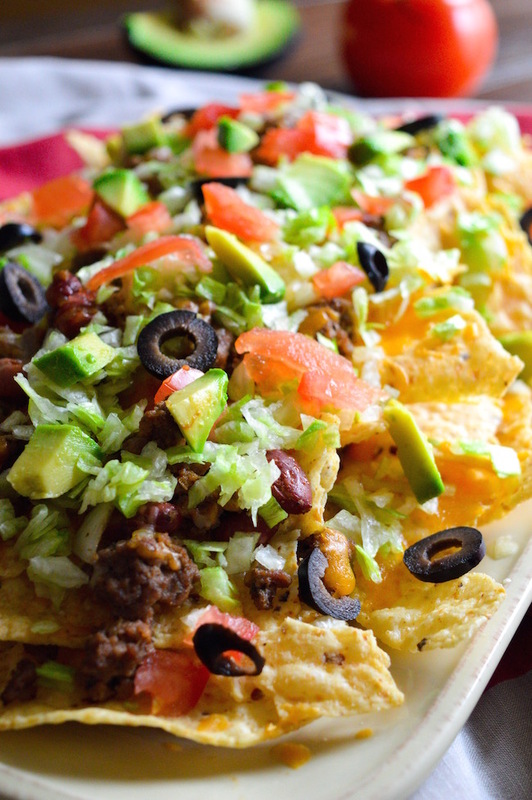 Remove from heat, let cool a few minutes and add desired toppings. 1 pound of ground beef cooked and drained. 1 can of small red beans rinsed and drained. 2 teaspoons of sofrito optional. 2 oz Monterey jack cheese shredded. 2 oz yellow sharp cheddar cheese shredded. Be sure to check out our other recipes! Oh boy! 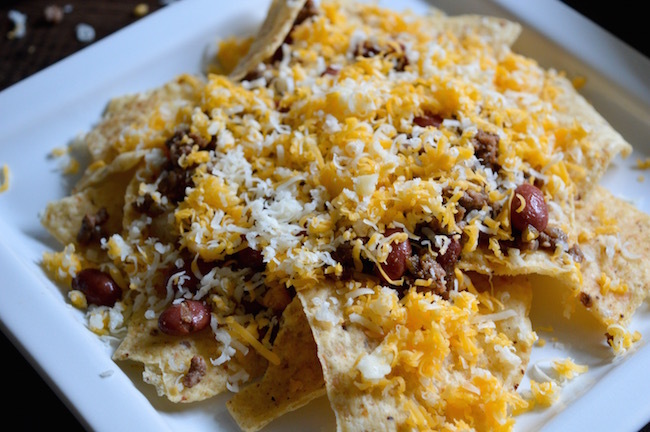 Those loaded beef nachos look delicious and I have already pinned it for future reference.I will have to look up sofrito because I’m not sure what it is but it is optional.We really love nachos and I am excited to try this! !